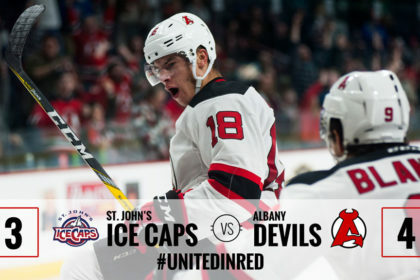 ALBANY, NY — Blake Pietila completed the hat trick in the best way possible — scoring the game-winning goal in the closing minutes of the Albany Devils, 4-3, victory against the St. John’s IceCaps Saturday at Times Union Center. The Devils scored three unanswered goals to erase a 3-1 deficit. After Pietila’s second power-play goal at 19:24 of the second, Rod Pelley, who has two goals in as many games, tied the contest with just 4:11 remaining in regulation. With the help of Jan Mandat and Ryan Kujawinski, the Devils’ captain helped set the scene for Pietila’s winner and his team-leading sixth goal of the season. Seth Helgeson sent a shot from the point which Joe Blandisi redirected in front. 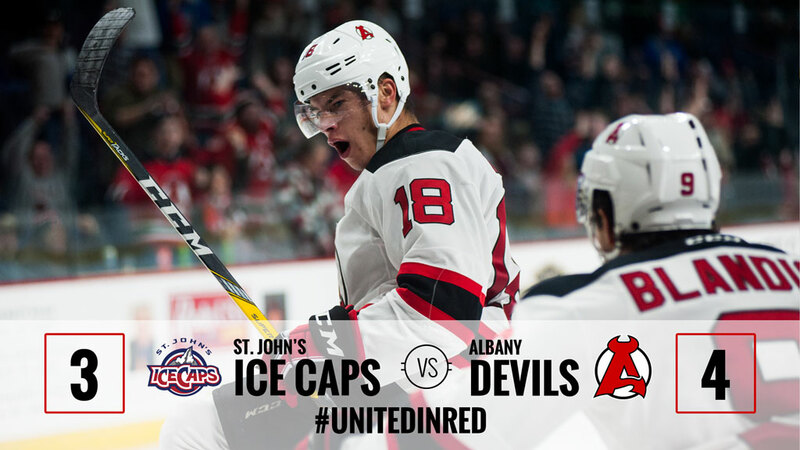 The puck laid in the crease as both the Devils and IceCaps made attempts at it. 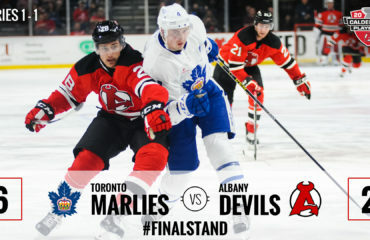 Pietila won the battle and stuffed in the winner with just 2:25 remaining to give the Devils their sixth victory on home ice. Pietila opened the scoring with a power-play goal at 12:51 from John Quenneville and Reece Scarlett. The bulk of the IceCaps’ scoring came during the second period. Nikita Scherbak tied the game, 1-1, at 1:57. St. John’s then took advantage of two power-play opportunities as Michael McCarron gave St. John’s the lead on a deflection in front at 10:42, which was quickly followed by Mark Barberio’s goal at 13:25. Mackenzie Blackwood registered his third win of the season and second on home ice. He made 27 saves as the Devils improve to 8-4-0-0 overall. At the other end, Yann Danis, who spent the 2015-16 with the Devils and represented them at the 2016 AHL All-Star Classic, made 27 saves for the IceCaps, who go to 6-7-1-0. 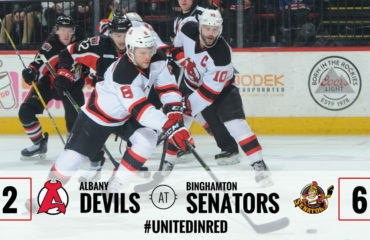 The Devils return to action on Wednesday when they travel to face the Rochester Americans for the first time this season. 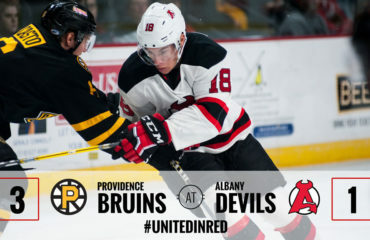 Puck drops at 7:05 pm.